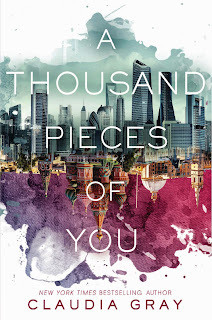 Magical Urban Fantasy Reads: A Thousand Pieces of You Blog Stop + Giveaway! A Thousand Pieces of You Blog Stop + Giveaway! A few people have asked me why I chose to make Marguerite, the main character of A THOUSAND PIECES OF YOU, an aspiring artist. 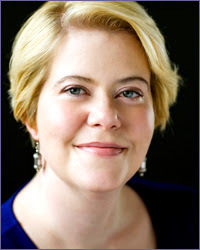 After all, she's the daughter of two groundbreaking physicists – Dr. Sophia Kovalenka and Dr. Henry Caine – and has spent her life surrounded by aspiring scientists. Her sister is studying oceanography. So why is Marguerite spending all her time with tubes of oil paint and an easel? Well, the first reason is largely pragmatic: If the point-of-view character for the book were a scientist, then the story would have to contain actual science. As in, deep, detailed explanations of the multiverse, how the Firebird works, all of it. We're talking about pages and pages of math, right in the heart of a YA novel. I think you will all agree that this would have been a bad idea. NOBODY WANTS EXTRA MATH. I've actually read up on the science of parallel dimensions (which, by the way, the majority of theoretical physicists believe to be completely real), but I'm nowhere near educated enough to do a competent job of explaining all of this – certainly not in a way that would sound entertaining. And not involve math. Second, this book is science fantasy more than science fiction. Alternate quantum realities may be completely real, but the Firebird is not. We are nowhere near being able to even perceive alternate dimensions, much less send our consciousness into them. If Marguerite had been a scientist, I would have had to have come up with a lot of fake technobabble to explain what the Firebird is. Probably readers would have found this confusing at best, boring at worst. Out of respect for the real science behind all this, I thought it was better to leave the Firebird as a mysterious sort of thing; it works according to consistent principles, like a scientific device would, but how it works is mostly irrelevant. Having Marguerite be an artist surrounded by scientists also allowed me to give her a unique perspective within the book. Her parents, Theo and Paul all view what's happening through the lens of their theories and experiments; for Marguerite, everything is more immediate and visceral. None of this is abstract for her. Marguerite's sense of wonder as she travels through dimensions – it's fresher because it's all so totally unexpected, something she never thought would be a part of her experience. When the first new universe takes shape around her, it's huge. While I'm sure any of the others would be blown away by that experience too, it's bigger, stranger and wilder for Marguerite than for anyone else. Finally, from the first days I thought about this book and its characters, Marguerite simply felt like an artist to me. When I envisioned the new universes through her eyes, I found myself describing the colors in the kind of detail someone would use if she were trying to find the exact right shade of paint. Imagining which famous painters would've been most likely to create the images Marguerite saw in front of her – Picasso, or Goya, or even Warhol – not only was it fun, but it also felt more vivid and more interesting than any other description I could've used. Sometimes characters seem to choose who they are; Marguerite seems, to me, to have chosen painting of her own free will. As a writer, when a character tells you something so strongly and unmistakably – you go with it. Besides, if Marguerite weren't an artist, would the book ever have wound up with this gorgeous cover? Lots of people have noticed the beautiful colors, the way the cities mirror each other, etc. – but only a few have realized that the paint-splotch edges, and the canvas texture beneath the Russian image, reflect Marguerite's identity as a painter. So while it might seem counterintuitive to make an artist the hero of a science-fiction novel – for A THOUSAND PIECES OF YOU, and for Marguerite, it just felt right. Hopefully readers will agree. * The first moments on the first page have endured almost verbatim. That doesn't surprise me – from the moment I thought of that scene, I was positive it was the right place to begin. * What does surprise me? Some of the first snippets of dialogue I came up with come from a scene in Russia where – how do I put this without providing spoilers? – Marguerite asks Paul to call her by her first name, something the Paul in that universe doesn't do. That, too, survived nearly word for word. When you read the book, I think you'll understand why. Whenever I talk about A THOUSAND PIECES OF YOU, I always say that this idea came to me faster and in a more complete form than most books do. That is absolutely true. But even this book had to evolve. Even the most beloved ideas may need to shift in the service of the greater story. I love how A THOUSAND PIECES OF YOU came out – especially, I think, because I see all the different books it might have been. The alternate-universe versions of what the novel could look like. And I kind of love them all. Oh, I can't wait to get my hands on this book!!! It sounds amazing!!! I love this cover and I've been hearing such great things! I love the split world idea and can't wait to read more! I cannot wait to read this book!!! It's definitely one of my must reads for the rest of 2014. It reminds me alot of the His Dark Materials trilogy and The Talisman. Cannot wait!!! Thanks for the giveaway! I've heard WONDERFUL things about this book! I'm so excited! Thanks for the giveaway.